Did you know that camels can run? I’m sure you knew they could spit for distance and hit a target twenty feet away, but did you know they can run like a scalded dog? Recently, I had the unique opportunity to ride one with some new friends, and it was exhilarating. 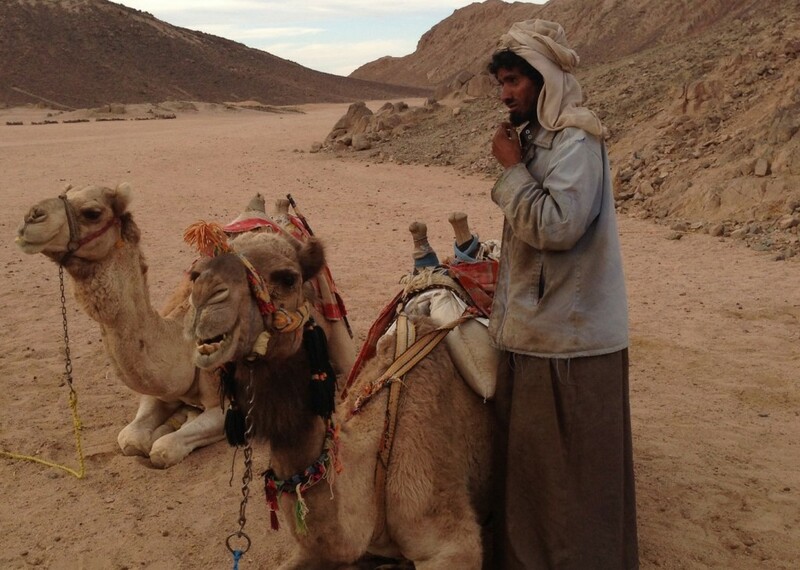 They’re experts who don’t just ride camels—they ride at a full sprint. I had to try it. Surprisingly, I found it much easier to ride a racing camel than a running horse. Although when you fall off a horse—you don’t drop eight feet to the ground. As we galloped across the smooth desert sand, the ride was a little bouncy. But to my surprise, when we hit the dunes and then the rocky hillside, my powerful steed maneuvered the terrain with ease, without even slowing down. Just when I expected to be tossed off as he tried to gain his footing on the rocks, his long legs landed on firm soil time and time again—without a single stumble! Although camels are stubborn, aggressive animals—they are loyal and tireless at the same time. These qualities endear them to their owners. For example, most camels won’t allow you to ride them unless their owners “make an introduction.” This is accomplished by coaxing the camel to kneel for the rider. Once this happens, riding can occur over and over by that same rider. If you try to skip the intro, you will get spat upon, and your camel will growl, show its teeth, and snarl like a junkyard dog. I’ve learned from experience. I asked one of the men why they didn’t use horses instead of camels. He looked at me strangely at first, then explained that horses are not only unsuited for the deep desert, they would die there. The terrain is too rocky and unstable, the watering holes too few and far between, and the heat exhausts them to the point that they dehydrate quickly. Camels, on the other hand, drink up to 55 gallons of water at one time, and in a matter of only a few minutes. They can then go for days without water. The hump is made up of concentrated fatty tissue that leaves the remainder of their bodies “fat free”, allowing easy heat loss through their skin even at high ambient temperatures. In fact, Camels don’t even begin to sweat until their body heat reaches 105 degrees. In the middle of the desert, I was in awe of God’s provision and the complexity of His creation. So often I’m impatient and fretful, when all the while He has integrated every aspect of our lives, meeting our needs and directing our path. I wish my faith was strong and unwavering in the face of battle, but then perhaps I would not feel the need to place my trust in Him. As I stood beside my trusty, strange beast with the silly face, he turned to look at me. I was only inches from his face—a place I have learned to never, ever be. But he was staring as if he was sizing me up. After a moment, he turned away and spat at someone else. Cool—I’m finally in with the camels.